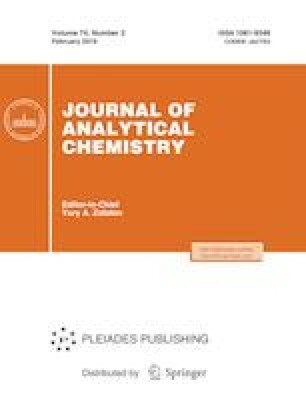 Using reversed-phase HPLC, we developed a procedure for the qualitative and quantitative analytical control of the production of N-octadecyl-1,3-diaminopropane from stearic acid by the nitrile method. The optimum composition of the eluent is determined, which ensures the control of each stage of the process. The calibration dependences for the mixtures initial reagent–reaction product are obtained, suggesting a quantitative estimation of the conversion. The possibility of determining the presence of synthesis by products is shown. The analysis time for each stage does not exceed 20 min.